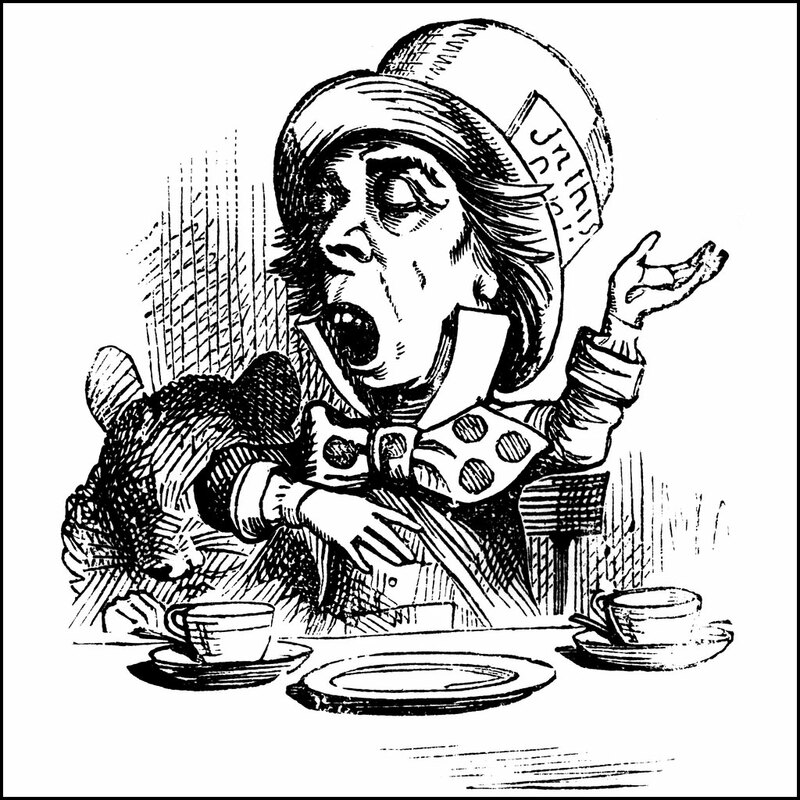 On this date in 1832, the author of Alice’s Adventures in Wonderland was born. 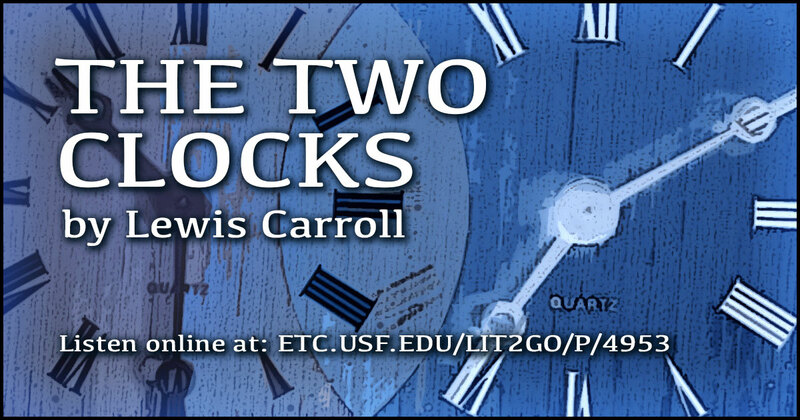 Use this banner on social media to share our Lewis Carroll teaching collection. 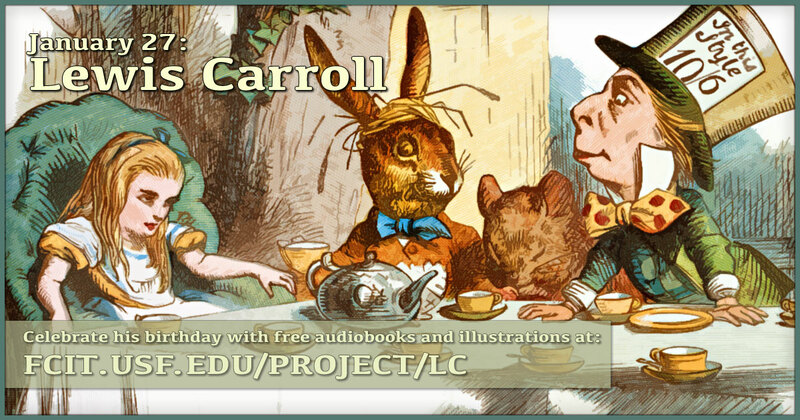 Several dozen illustrations from Alice in Wonderland are available on the ClipArt ETC website. 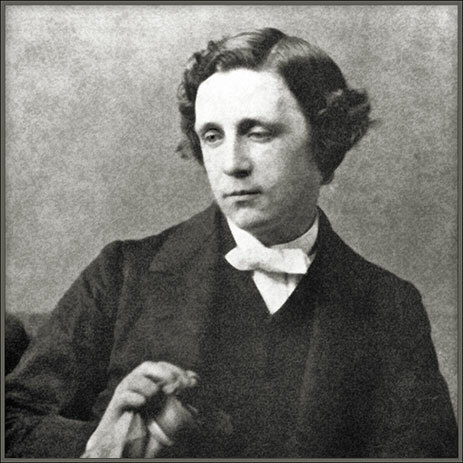 A photograph of Lewis Carroll from 1863. 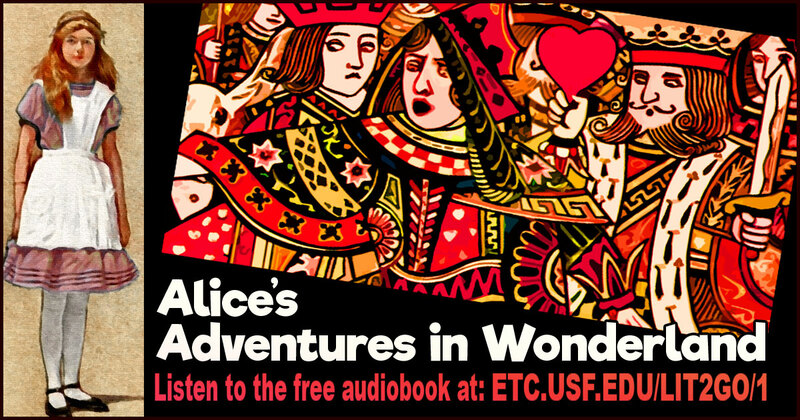 Alice’s Adventures in Wonderland tells the story of a girl named Alice who falls down a rabbit-hole into a fantasy realm populated by talking playing cards and anthropomorphic creatures. Available from the Lit2Go website. 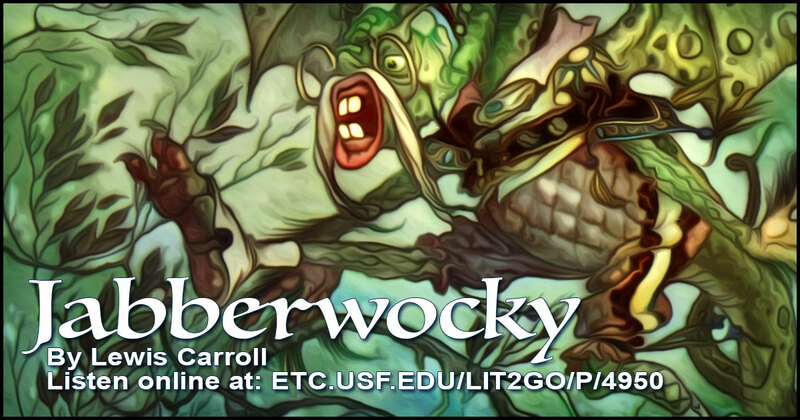 Jabberwocky is a nonsensical poem that illustrates rhyme, rhythm, and alliteration. Available from the Lit2Go website. Sylvie and Bruno, first published in 1889, and its 1893 second volume Sylvie and Bruno Concluded form the last novel by Lewis Carroll published during his lifetime. The novel has two main plots: one set in the real world at the time the book was published (the Victorian era), the other in the fictional world of Fairyland. Available from the Lit2Go website. 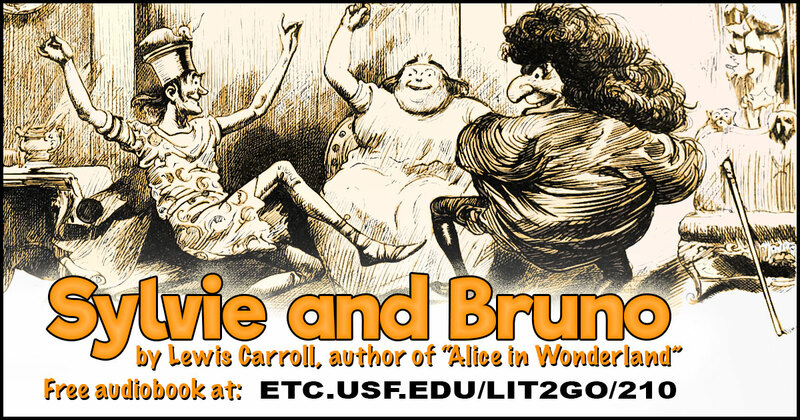 Sylvie and Bruno Concluded along with Sylvie and Bruno form the last novel by Lewis Carroll published during his lifetime. 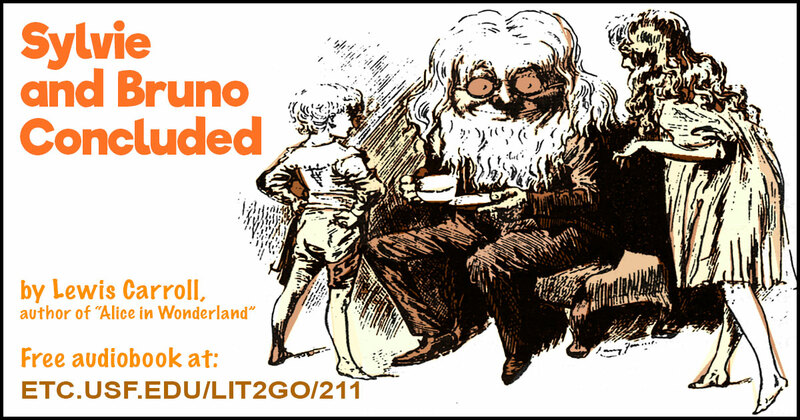 The novel has two main plots: one set in the real world at the time the book was published (the Victorian era), the other in the fictional world of Fairyland. Available from the Lit2Go website. 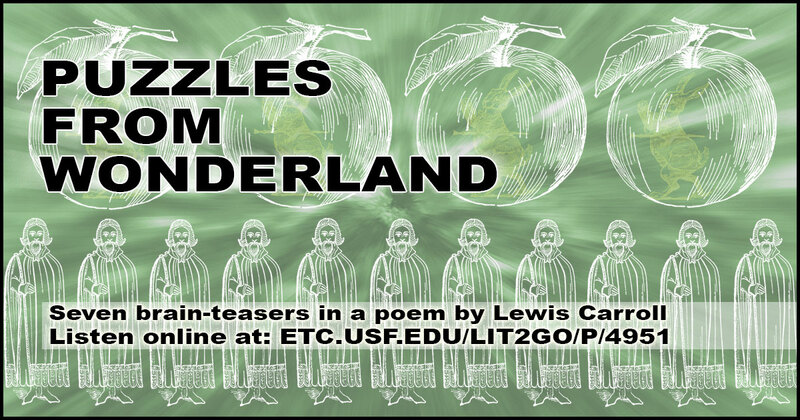 Puzzles from Wonderland is a collection of seven nonsensical riddles written as poems. Available from the Lit2Go website. 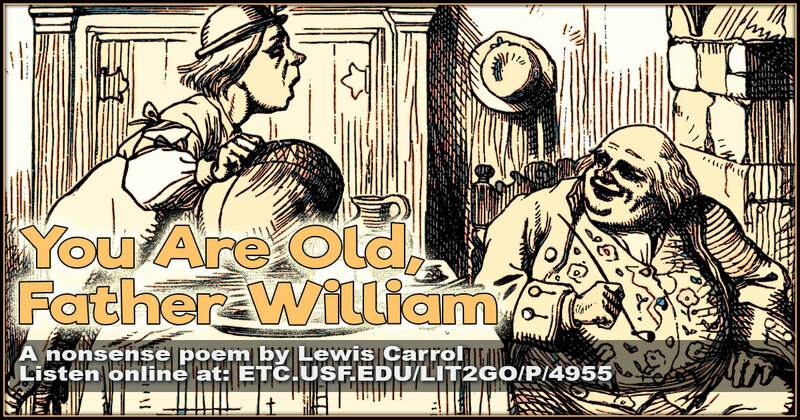 You Are Old, Father William is a poem about a son inquiring about his father’s amazing and peculiar habits for a man of his advanced age. Available from the Lit2Go website. 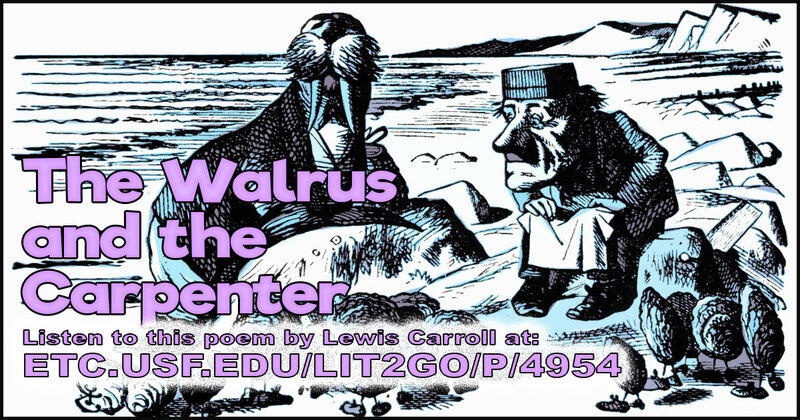 The Walrus and the Carpenter is a folk tale poem about the trickery of the Walrus and the Carpenter in their hunt of oysters. Available from the Lit2Go website. 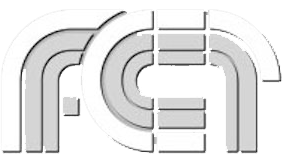 The Two Clocks uses the example of two faulty clocks to make a point. Available from the Lit2Go website. 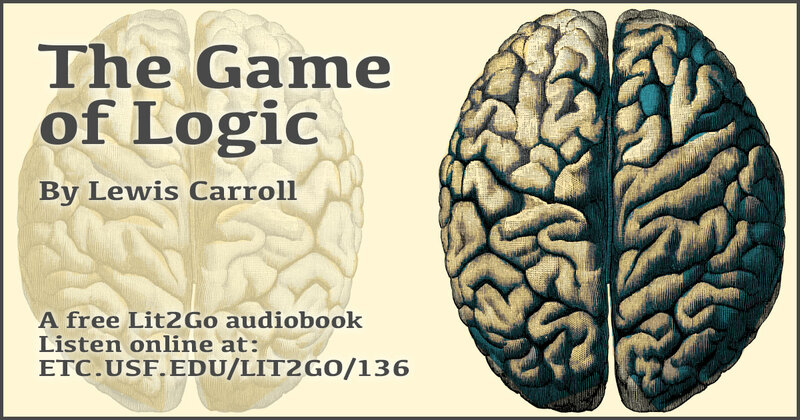 The Game of Logic is a way to understand classical logic by means of symbols. Available from the Lit2Go website. 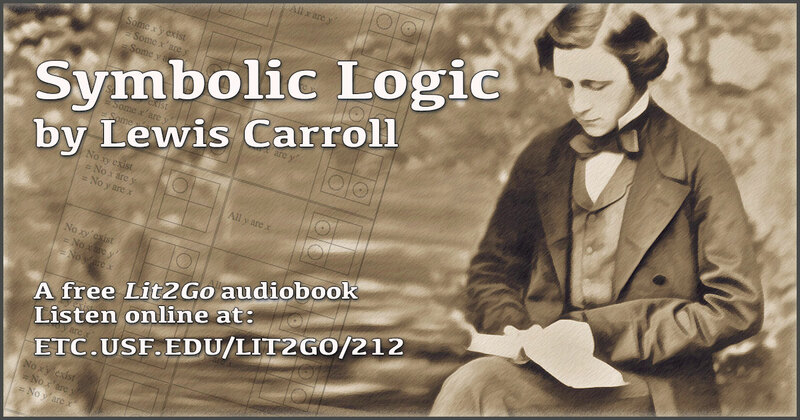 Symbolic Logic is a text discussing the area of mathematics which studies the purely formal properties of strings of symbols. Available from the Lit2Go website.